Welcome to the latest installment of Talk It Out Tuesday! Check out previous TIOTs on melt and pour, bath bombs and colorants. So, you may be wondering, just what in the heck is a preservative? What am I supposed to use them for? Does my soap need a preservative? Preservatives can be a tricky if you haven’t used them before, but fear not, this post will explain the differences so that you can become the expert on preservatives. A preservative is an anti-microbial solution that helps to prevent mold and other yucky things from growing in your products. Why would you use a preservative? Preservatives are needed in any product that has water in it to prevent bacteria and mold from growing in it. If you don’t use a preservative something icky like this may happen to your product (bummer, right?). Germaben – Germaben is a fabulous preservative to us when you are diluting Bramble Berry’s Lab Colors, as it keeps any nasties from growing in your colors (go here to learn how to dilute your LabColors using Germaben). It is also great preservative to use when you are making lotions, as it helps to keep them nice and creamy. Usage rate: .3-1% of the total weight of the recipe and must be used at temperatures lower than 140 degrees. You wouldn’t want to find that your fabulous sugar scrub went bad after a few weeks, would you? Any recipe that includes water in it or any product that may get water in it needs a preservative. That includes most lotions and cremes, sugar or salt scrubs, and some types of body powders. Preservatives aren’t generally necessary in liquid soaps, but can be added if desired. Do salt scrubs need a preservative? Technically, no. Most sugar and salt scrubs do not contain water. When there’s no water in the product then you do not need to add a preservative. Now take a minute to think about where most sugar and salt scrubs are stored and used. Yep! They are stored and used in the shower where water may be introduced, which could potentially start mold growth. Ack! So what does that mean? It’s better to be safe than sorry. Long story short, I would add a preservative to you your scrubs. You never have to use preservatives in your cold process or melt & pour projects. Maybe you’re thinking, “There’s water in my soap, doesn’t that mean I have use a preservative?” Nope! Both Cold Process and Melt and Pour soaps both have a pH level that does not allow mold or bacteria growth in your soaps. Liquid soap does not need a preservative either but it doesn’t hurt to add a little just to be extra careful. Using a preservative in your products is not required, but it is a responsible way to ensure that your products don’t reach your customers or gift recipients containing mold or bacteria. Have an idea for a future Talk It Out Tuesday? Leave a comment! I make a shea body butter product that is oil based and I add vitamin e to it for anti-oxidant purposes. When I whip the shea butter it comes out white. Over time I notice that when I use it constantly it starts to get slightly darker where my hands have touched. Should I use a preservative in this product? I also made a shea body butter citrus blend and used orange butter. After about a month the color change and it got darker. Do you have any suggestions? Finally what would be some of the best preservatives to use for oil and water emulsions? Because your product does not contain water, you technically do not need to add a preservative. That being said, you certainly can if you’d like to be extra cautious. You may find this blog post helpful, it gives a little bit more information regarding each preservative, and what kind of product it is appropriate for 🙂 Phenonip would be a good choice! I have been reading that if there is no water in a product it does not need a preservative, unless it is likely to come in contact with water. I am making lip products that contain no water, but I am unsure as to whether it is still recommended to put a preservative in them since they come in contact with spit/drinks/any liquids that may be on the lips. If so, I was thinking Optithen would be my best bet. Could you tell me if it would be best, and if a preservative is recommended in lip products that do not contain water? Usually, lip products that do not contain water do not need a preservative. We have made a lot of lip balm, and have never had any issues when we did not add one :). If you’d still like to use one, Optiphen would be a good choice! Thank you 🙂 One more thing! I have seen a lot of lip glosses that appear to have no water source yet still contain phenoxyethanol as an ingredient. Does phenoxyethanol serve any other purpose besides preservation? I had a go with my re batch whipped soap, It’s great :)still whipped days later & it hasn’t separated or anything yet, I used a preservative I had called plantaserve E natural, next time I will get one you recommend, & maybe play around with recipe. I did spot your soap paste 🙁 looks great 🙂 what is your shipping to uk & customs fees? As a first time scrub maker, I can officially say that I am confused to all hell. I want to make sugar and salt scrubs to raise money for a charity. However, I want to include a preservative because I don’t want to give the charity a bad name and I don’t want to hurt or sicken anyone. Can you please take a moment to look at my recipe and let me know a. )which preservative to use, and b.) how many ounces/teaspoons to use. I’m not a math or chemistry major and uing percentages and rates is just confusing. All your help is appreciated…thanks. The first step in deciding what preservative to use, is to evaluate the ingredients of your recipe, and whether or not it contains water. If it does you will need a water soluble preservative. If it only contains oils, you will need a oil soluble preservative. Because you’re recipe does not contain water, you will need a preservative that will combine with oil, aka: oil soluble. So I did the math and this would equate to 83 ounces or 2353 grams (I think). 1% of this would be 23.53 grams. So do I add in 0.25% to 23.53g or to 0.83oz(1.66tbs)? Im so confused and ya’ll make it sound so easy. For this amount of scrub(83 ounces) I’d be adding in 1.66 tablespoons??? That’s okay, it can be a little tricky :). Looking at your recipe, it seems that 83 ounces may be a little heavy for the ingredients you are using. Weight vs. volume is a little confusing, but you may find this blog post helpful! Because of this, it can be hard to find the true weight of your project without actually measuring it. Basically, 1 cup of water will actually weigh more than 1 cup of sugar, which is why the amount of your recipe seems a little high. Surely It would go bad? Can you use fresh juice in Rebatch? Which would be the best preservative? Experienced Soapers never seem give you a direct answer, I get the feeling they don’t know themselves? Really want to make a real juice soap. It’s tricky for me to say exactly how they make their products, just because I’m not very familiar with them, or their recipes. My guess is that they are using a preservative as well in their body washes. Regarding fresh juice in rebatch, while an additional preservative would help bacteria from growing, it will not protect the juice from going bad (turning brown, etc). While it’s not something we have tested, I would not recommend it. I Just love soaping and everything related I am desperate to make my own CP soap but living in a flat with 2 small kids it is not going to happen soon. Can you make a cream soft soap with re batch? grating the soap and adding pure water heating it up etc. I found only one recipe which someone used the rebatch melted soap method folded into a whipped shea butter/ coconut oil and it looked great, but no preservative, which I am guessing she would need with that water & butter. I really want to try to make some kind of butter-cream soap like Lush’s dream wash & Turkish delight, any advice or suggestions from anyone would be appreciated! most of The uk suppliers don’t stock some of your products. I’m so glad that you have been enjoying rebatch! It’s a great way to make cold process if you don’t want to work with lye. Unfortunately, making any soap from scratch will require lye. I honestly have never heard of anybody making cream soap with rebatch before. I worry that trying to water down rebatch would not give you the texture you are looking for. The recipe that you found, you’re right, would require a preservative if extra water was added. Another liquid soapmaking option that does not require lye, would be to use a liquid soap paste. The pastes are very easy to use, all you need to do is dilute them! I hope this gives you some ideas :). I am currently adding a preservative to my sugar scrubs. However I’m starting to wonder if it’s necessary. The base starts out as liquid soap that I have made from grating up two bars of cold process soap. To that, I add my sugar and other goodies. So, there is a good amount of water that was used to make the “liquid soap.” BUT, it contains CP soap. With even the smallest amount of lye (using my grated up soaps) can bacteria grow? Out of two bars that I grated up, this will make approximately 100 4ounce jars. So, as you can see, the two original CP bars go along way. Is there *enough* lye to kill anything that might grow? Thank you! Hey there, I really enjoyed this article about preservatives. Ive been trying to figure out a way to preserve my self tanning oil I make. It contains water, carrots, sugar, and essential tree and fruit oils so im not too sure which preservative I can use but would Optiphen work? Ive seen a few other people that make tanning oil and dont seem to use any preservative just a ton of oils and they dont use carrots like I do but the thought of maybe getting someone sick freaks me out and for piece of mind sake id like to have a preservative in ther if im selling it. Its stored in a screw top spray bottle so theres no contact with dirty hands unless someone sticks a finger in the bottle and it isnt supposed to be kept around water so it has a slightly less chance of getting contaminated water in it but since its made with water what should I use? Adding a preservative is not necessary if the product does not contain water. Because your product contains water, I would recommend one. That being said, I would guess that the carrots will still go bad. How do you prepare and add the carrots? Adding a preservative will deter bacteria from growing, but it won’t stop the carrots from turning brown and possibly going bad. Because you product contains water, I would recommend using a water soluble preservative like Phenonip, Optiphen ND or Optiphen. You may find this blog post helpful! I’m needing some help understanding what it means when you say “total weight of the recipe”. So, if the total weight of my recipe is 98.97 and I am to use my preservative at 1.5%. Does that mean that I am adding the preservative at 1.47% (98.97 * 1.5%)? If i use bath salts when i take a bath, should i still use regular bath soap? How to use bath salts as a scrub? Because bath salts are not cleansing, I would still recommend using soap :). Bath salts are pretty rough, so I would not recommend using them as a scrub. Instead, you let them dissolve in your water :). If you’re looking for some scrub recipes, here are a few you might like! Hello ,I’ve made my own M&P soap but I got a problem with me.My soaps smell bad after one week,I added 1 tbs of coconut oil & grape seed oil,other than that i added some dried earl grey tea leaves and jasmine essential oil. They smell fresh on the first day ! Now I have no idea why my soap will smell bad as it does not contain any water in it. Need help thanks ! Hello there,i’ve made my own M&P soap but i got a problem .My soaps smell bad after one week,I added 1tbs coconut oil & grape seed oil,other than that i added some dried earl grey tea leaves and jasmine essential oil. They smell fresh on the first day ! Now I have no idea why my soap will smell bad as it does not contain any water in it…Need help!! You can add fixed oils or butters to the melt and pour base and many do. However, I don’t recommend adding much, if any. The bases are already made with luxurious oils and butters. The more you add to the base, the more the consistency will change. The lather will start to decrease or you could end up with a softer bar of soap. Because of this, I don’t usually add more than 1 teaspoon of extra oils per pound of soap base. I would be surprised if the oils resulted in your soap smelling bad, but it’s possible. Another reason could be that your melt and pour soap was burned during the heating process. It’s easier to do than one would think, so just be sure when you place it in the microwave, to heat it on extremely short bursts. The additional dried herbs could be contributing to the smell as well, or it could be a combination of all these things. *^ are being preserved with optiphen plus, which I thought was not for anhydrous products? No worries, sometimes choosing a preservative can be a little confusing! Your product only needs a preservative when it contains water. Although if your product is going to be stored in the shower and come in contact with water like many scrubs do, you may want to use a preservative to be on the safe side. Because your scrub is oil based, you could use Phenonip or Optiphen. Optiphen is a paraben and formaldehyde-free preservative. You’re correct, Optiphen Plus is not recommended for oil based products. I’m in the testing phase of my haircare products and they are all water based. I purchased aloe vera powder and it is naturally a brown color and I hate how it makes my haircare products look (like dirt water) so I wanted to use a REAL aloe vera plant (the inner filet gel of the actual plant) to put in my products so I wanted to know, is there a possibility that the aloe plant will go bad in my products even if I use a preservative? (I decided to use GSB as a preservative system). Would I have to refrigerate it even if I put my preservative in? I’d really like for it to be stored on the shelf not in the fridge. PLEASE HELP!!! I might actually recommend Phenonip as a preservative. It’s a broad spectrum preservative that will ensure no bacteria grows in your products! Aloe vera contains a high percentage of water, so preserving products with aloe in them is no different than preserving entirely water-based projects. I’m planning on making sugar/salt scrubs using essential and carrier oils, liquid castile soap, possibly powder (cocoa and/or lemon/orange peel powder)with a preservative for my business. I do not know what measurements to use to put in the scrubs. I’m not sure yet what size jar I’ll be using…maybe 4 or 8oz, and I do not want to put too much or less. I am thinking about using a laboratory, but that is going to be expensive. If you could assist with providing correct measurements, I would appreciate it. If I create a really raw honey and oil like olive scrub will I need a preservative and if I choose not to use one, how long would shelf life be? Hello, I’d like to make a facial cleanser for personal use, but I don’t really know what I’m doing (I’m brand new to all this). I have been reading about the benefits of activated charcoal and different clays, and am wondering…if I wanted to just mix some activated charcoal or clay with a liquid castile soap, like Dr Bronners which already has some preservatives in it, would I need to add any extra preservatives? Would that change the shelf life? And could I add an exfoliant like walnut shell powder or some sort of ground seeds to it, or would that call for more preservatives? Because you are not adding more water to the product, you would not need to add more preservatives. Also, as a rule of thumb, soap does not require a preservative because the pH level does not allow for bacteria or mold growth. While I have never tried it, adding charcoal or exfoliants would not change the shelf life. I would recommend adding exfoliants per use, because scrubbing your face with exfoliants everyday might be a little harsh! But this would depend on your skin type :). I’m happy to hear you’ve been safe and using a preservative in your oil based scrub that may be coming into contact with water because it’s in the shower :). Phenonip is a great choice, but if you are looking for a preservative that is paraben free and formaldehyde-free, you could use Optiphen. You may also find this blog post helpful, it goes into depth regarding all the preservative options, so you can choose the one that sounds best to you! Does anyone have any thoughts on Oregano Oil as a preservative? I have a question – are their FDA regulations (and I can’t find anything on their website) about selling a preservative free DIY lotion kit? I’m envisioning selling pre-measured oils/emulsifying wax in a little heat-safe container (maybe a small canning jar) with a recipe attached so people can make their own lotion. I would have a label on top of the jar (and a caution in the recipe) that says “discard 7 days after mixing” or something to that effect. Just thought it would not only be a little “science experiement” for anyone interested, but also a way to give people who truly want preservative-free an option. I would never sell a preservative-free lotion, but I certainly do get asked frequently for it. I’m just wondering if this is a legal way of doing it – I would technically be selling a kit and recipe, not a lotion. Yeesh – I meant “are THERE”. I SO hate when people confuse those words and I just did it. Happy Friday – thanks for any input. I love the idea of selling kits for people to make their own lotions! While the FDA does not have regulations on this, I would be really cautious doing so without a preservative. 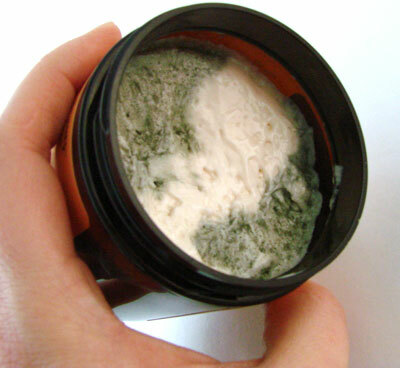 I would hate for somebody to make a lotion that starts to grow mold, get sick and blame you for it. Of course letting each customer know the risk involved would be really important. I want to make a body lotion combining both natural veggies and chemical body cream, that is cucumber, carrots, egg white,and banana with Revlon natural body lotion, what preservative should I use? Adding a preservative to a lotion will prevent mold and bacteria growth from the ingredients containing water in your lotion. Unfortunately, they will not prevent these perishable ingredients from going bad in your lotion. Also, when adding ingredients to an already existing cream, it can be tricky because they already contain their own preservatives. If you are looking for a lotion base to add additional ingredients to, I would recommend the Aloe Lotion Base, or the Beeswax Lotion Base. These bases will allow you to add whatever fragrance you like, or extracts. I would not recommend adding food products. If you’d like to learn more about preservatives, you may find this blog post helpful! Can I add any extracts (aloe, calendula..) to the castile soap base or the paste? would that cause any issues with the soap? would I need a preservative if I tried adding those? No worries, I’m happy to help :). In order to keep the usage rate correct, I would recommend adding the preservative after separating your gel and spray into tow different bowls because I am assuming you will be adding a different amount of ingredients into each. Choosing between GSB and Optiphen Plus is a personal choice, but because we have tried Optiphen Plus many times and have had good results with it, that’s what I would recommend :). HELLO!!!!!!!!!!!! I’d really like a response to my question!! I apologize it’s so long but I’d like to be sure before I go out and buy my products. I’m SOOOOOOOO sorry!!!! I didn’t see your response!! Okay thank you very much Amamda!!!! When choosing a preservative, it’s important to consider if your product is oil based or water based. Also, in general, your product only needs a preservative if it contains water. For example, because bath bombs do not use water in the recipe, you do not need to use a preservative. For scrubs, it’s a bit of a personal preference to use preservatives or not. If your recipe does not contain water, some people still like to include a preservative because it might stay in the shower and come into contact with water. To read more about individual preservatives and find one that’s right for your project, you may find this post helpful! I’m sorry error…….can I google 32 ounces times 1%……..typing too fast and didn’t proofread. OMGoodness!!!! I’ve been up all morning reading all these helpful advice posts!! I too, am planning on making and selling natural hair and body products and found very early on “ALL NATURAL” preservatives are confusing and not always good for my tester products (I’m still working on the ingredients). I just wanna make sure I have this right, my hair care products ARE gonna be like 80% water based….so optiphen PLUS is the best preservative right? (don’t wanna use parabens or propylene glycol so I’d love to use the optiphen). And do you all GUARANTEE the performance of optiphen plus in water based formulas (I’ve had VERY traumatic episodes with my “all natural” preservatives)!! Also, I’m making an African black soap (I’m gonna melt the base that I buy from a wholesaler with a double boiler and add essential oils, shea butter and aloe vera to it)…..I’d like to know, am I gonna need a preservative? The pH of the african black soap is 10 and the base is water, cocoa pod ashes, plantain skin ashes and palm oil and it’s a HUGE chunk of hard soap (I bought 7 lbs). Last question which is about the percentages of formulas…..so if an ingredient (I.e. Optiphen plus) suggests a 1% usage and I’m making a 32 ounce batch, can I just google (GREAT tip from an earlier user) 32 times 1%? It gives me the answer in ounces…so I’d just use my converter calculator to change ounces to grams and weigh that “gram amount” on a small scale? (I plan on buying a small scale JUST for preservatives and essential oils!!) would I be doing my math right? I’d really like to know cuz I’ve made SOOOOOOO many errors and wasted money!! So happy to hear you’re going to make your own hair care products, how fun! When choosing a preservative, keep in mind there are several options, and it sometimes boils down to a personal preference. Because your products are water based, Optiphen Plus would be a good choice. As it isn’t heat sensitive, we can include it in our water based creations at 80˚C or lower in the water phase of our process. It is not a formaldehyde donor. We have had great results using Optiphen Plus. As regards to the soap, in general soap does not require a preservative because the pH level does not allow bacteria to grow. So you do not need a preservative for the soap you’re making. Regarding the percentages of your formula, you don’t need to convert to grams. This is just an extra step for you :). Because you’re working with 32 oz of lotion and a usage rate of 1%, you would multiply 32 X .01 which equals .32 ounces of preservative. For more information regarding each preservative and how to use them, you may find this post helpful! I hope this answers your questions Ressa! Adding sugar and glycerin into liquid castile soap does not require a preservative because the pH level does not allow bacteria to grow. None of these preservatives are natural, but many people like to choose Optiphen because it is paraben free and is not a formaldehyde donor. For a more in depth description of each preservative, you may find this blog post helpful! Great information! I am just starting to make my own soap and I’m using a shea butter soap base from Michael’s to which I add essential oils, coloring, as well as dry herbs and lemon zest. Should I understand that I don’t need to use a preservative for this? Sorry if it’s an obvious question :)Thanks!! This is a great question! A good general rule is that if your product doesn’t contain water, you don’t need a preservative. Eventually dry herbs will begin to wilt, but there is no way to prevent that. Because you are using a premade base and are simply adding coloring and fragrance, you don’t need a preservative 🙂 Also, in general soap does not require a preservative because the pH level does not allow bacteria to grow. Thanks so much for confirming, Amanda! Is this the case also if I use fresh lemon zest or fresh chopped mint or basil? Would they spoil inside the glycerin soap if I don’t add any preservatives? Ok, I’m confused. I bought Optiphen ND because I thought I saw somewhere to use that for LabColors. Did I buy the right preservative? Also, I thought in the earlier comments that Optiphen is for oil based recipes and Optiphen Plus for water based. But when I read the descriptions of Perfectly Presevered it says Optiphen can be used for water based. Help! Also, the whole pH thing. Optiphen ND is not good in pH below 6 but a few sentences above says its does poorly at pH 5. This is a great point, thank you for pointing this out. I have contacted Susan to clear up the confusion, and will reply with her response soon! Which preservative do you recommend for oil based sugar scrubs? optiphen or can i use optiphen plus? i also use optiphen plus in my home-made emulsified scrubs. do you recommend, optiphen plus to use in liquid castile soap base? If you’re making an oil based scrub that does not contain water, I would recommend using an oil soluble preservative, like Phenonip. If your scrub does not contain water you don’t have to use a preservative, but it’s a good idea if your scrub is going to be in the shower! You can use Optiphen in your scrubs. I would not recommend Optiphen Plus because it is not suitable for anhydrous products (products that contain no water). Because of this, you may find Optiphen Plus to be very difficult to mix into your scrub. For liquid castile soap base, you don’t need to use a preservative. While castile soap base does contain water, the pH level does not allow bacteria to grow. A friend of mine used Silver Nano as preservatives in her serum, lotion etc. My question is, how is silver nano compared to other preservatives mentioned above? I haven’t done any challenge testing with it but besides this study: http://www.ncbi.nlm.nih.gov/pubmed/20060498 I couldn’t find much about its use as a preservative in lotions. If you’re going to use it in lotions to sell, I would recommend a full challenge test. We http://www.sagescript.com/microbiology and challenge testing runs around $500 or so per formula (I don’t recall the exact amount offhand). Thank you very much for the quick respond. Merry Christmas to u!! So, I’m making my own liquid handsoap. I found the directions using a bar of Mrs. Meyers soap (I use her handsoap but it gets pricey!). I though Yeah! I can make the soap I have been buying for years. Do I need to add a preservative? I was thinking of doing so just in case. But I’m not sure on which one to use. Any suggestions? Preservatives are needed in any product that has water in it to prevent bacteria and mold from growing. Preservatives aren’t generally necessary in true, from scratch liquid soaps, but can be added if desired. What you are making is not a true, from-scratch liquid soap. I would recommend a water based preservative, such as Optiphen Plus (https://www.brambleberry.com/Optiphen-Plus-P5253.aspx) at 1% to prevent mold and bacteria growth. If you want to make liquid soap, you do have a couple of options. You can make it from scratch or a base. Here are our two concentrate bases, that all you have to do is add your fragrance/color and you are done. propylene glycol, propylparaben, methylparaben, and diazolidinyl urea. Phenonip is a mix of preservatives phenoxyethanol, methylparaben, ethylparaben, butylparaben, propylparaben, and isobutylparaben. Parabens mimic estrogen, are potential hormone (endocrine) system disruptors, and were found in the breast cancer tumors of 19 of 20 women studied (Darbre 2004). This information on Phenonip comes from the Skin Deep Cosmetics website which rates the hazard level of it as 6-7 (on a scale of 0 being entirely safe to 10 being extremely dangerous). Using parabens in my products is not even a question in my mind. I have searched and found reliable preservatives I can use in good conscience. Optiphen has been one of these and I have found others, including one that is 100% vegetable-sourced. Do your homework and always follow manufacturer’s guidelines to remain safe. You do not want to be one of the horror stories about preservatives! Thank you for the information. We often use Optiphen in our soap and other body products. We agree, it’s a great preservative! It’s always good to be knowledgeable about the ingredients you are using and there are a wide range of options out there for preservatives. The type of preservative you choose for your product is up to you and I’m glad that there are effective options for everyone out there that wants to responsibly use a full spectrum preservative, it’s simply a personal preference :). All of our preservatives have been approved for use in body products. WOW! This article has been an eye-opener. Thanks so much for presenting it. Knowing, too, that we are not alone in this… even the big guys are having problems with bacteria. That’s pretty scary, though. I want to make some body butters, using a recipe that calls for water. Now I’m a bit scared, because I don’t think even a germacide or preservative would entirely safe-guard a product… particularly when there are so many other variables that can affect contamination, such as unwashed fingers dipping in the jar or leaving the lid off a container or someone sneezing near an open container. I wonder if I could substitute aloe gel for the water. I would assume that would lessen the possibility of contamination. I don’t want to go 100% oils, butters and wax. I’d like some hydrating material and as I understand aloe gel is a very good hydrator. Thank you so much. I value your opinion and judgment. Switching water for aloe gel will not dramatically lessen the possibility of contamination. You can certainly switch out aloe gel for water, but aloe gel is about 90% water, so you still need a preservative.I would recommend Optiphen which is a paraben and formaldehyde-free preservative. However, isn’t the water being retained naturally “within the plant leaves” significantly better than water coming from an outside source, even distilled water? And wouldn’t there be more advantages to using aloe gel, such as enriching the product with its healing benefits? I would think so myself, which is part of why I’d choose to use aloe gel as opposed to distilled water. I used Distilled water in both and had the Lavender batch for 4 months and the Oatmeal batch for only a month and a 1/2 and BOTH developed mold directly on the whole oatmeal and lavender bud on top of the bars. It is white/green fuzzy mold. Any idea why!?! If I just don’t add herbs/oatmeal to the top of the soaps going forward do you think that will be okay (using the same recipes, etc)? That really scared me of soapmaking 🙁 I’m now concerned about the ground lavender/oatmeal inside the soap as well…should I be? Also, should I throw out both batches of soap (about 10 bars each batch) or can I cut off the tops of the bars & use? I am not quite sure why you would have mold on your soaps, as we haven’t had that problem when using herbs and botanicals, but if you want to prevent that in the future, you can use the same recipe, just without the exfoliaters. Do you happen to live in a humid area? The more you can tell us, the more we can help you troubleshoot! It is humid where I live in the Summertime but not right now. However, I do store the soap in my basement, where even when it’s cold, the air is a bit humid. What is the best way to store HP soap? Any specific storage containers? Also, do you think I need to take the exfoliaters out of the soap completely or would it be okay to just not use them on the top of the loaf? i’m only seeing the mold on the top of the bars where the herbs are sitting on top. I would make sure to keep your soap in the coolest part of your home (the basement is great)and away from sunlight. Many soapers like to store their soap in shoe boxes or plastic containers. If you head over to the Teach Soap Forum, I’m sure you’d find some great ideas! The oatmeal should be fine if it’s in the soap, and should be okay on top too if kept dry. Question about Optiphen in my body butter. I make a body butter with 70% shea 29% other oils and evening primrose extract and aloe extract which together are 1%. Would the water in the extracts necessitate the use of Optiphen Plus or is it such a small amount that Optiphen is fine? If you are using Bramble Berry’s extracts, there isn’t actually going to be any water in them at all. And, if you look at most extracts, they are either in oil or alcohol, so you will not need to worry about adding a preservative to your batch unless you add water to you recipe! I hope that this helps to clear up any confusion. Yes, they are Brambleberry’s so great!! Thank you. This was a really helpful post to me. I have a lotion recipe I love with water in it but it is going bad too quickly. I am ready to use a preservative in this one. I am making a rebatched cream soap from my best goat’s milk soap. I have to add quite a bit of water to this to get it the consistency I desired and I need to know what preservative is called for in this situation. I don’t typically use anything other than Vit E, so needless to say..I am lost. Help me. I understand that because of the shelve life of certain oils, this may limit the shelve life of the cold process soap that contain these oils (ex. Flax seed Oil, 3 months). Can this shelve life be extended by adding ROE, Rosemary Oil Extract? If so, what would the shelve life be for the CP soap and what would be the usage rate of ROE in a CP soap that yields 48oz total? If I make shaving soap with foaming bath whip, kaolin clay and chamomile extract, can I add either Germaben II or Phenonip as a preservative? I think I can get away without adding any preservatives, but I want to be extra safe because of the water being introduced to the container during use. So if I make a body butter with NO WATER JUST OILS AND WAX ONLY I DO NOT need a preservative to make and safely sell my product? Also if I make body butter with no water, only oils with NO preservative what would you put for the expiration of the product? Thanks so much everyone in advance!!! As long as your body butter doesn’t have water in it, you do not have to use a preservative. Hi Cindy. I make melt and pour soaps in which I liquify a small amount of either avocado, mango, watermelon, or carrots to add to my recipes. The only thing I mix with the fruit is lemon juice. You said I wouldn’t need a preservative in this? What if I’m adding ground almonds to my melt & pour? Is that dangerous even when they are raw or should they be dry roasted? Thank you, Melissa. I’m sorry I meant Becky! We don’t typically add anything (other than color and fragrance) to our melt and pour soaps because anything else can change the consistency and lather of the final product. You would not need a preservative in your soaps, but any fresh fruit or vegetable you add to your melt & pour soaps will eventually go brown, and the shelf-life will be shorter than those soaps without a puree in them. I have seen several recipes on Pinterest for body wash. One I found said to use a bar of pure castile soap, water, and glycerin. I had made some castile soap a little while ago and I don’t like it. I was thinking about using it for this body wash instead of using it as a regular bar of soap. Since I would be adding water, would I need to use a preservative or is it okay to go without? I would be using distilled water, of course. I’m not sure if that would make a difference. Thanks! We’ve seen similar recipes to the one you’ve talked about and have found that they really don’t work as well for us as we would like. Anytime you are using water in a recipe (except for CP and M&P soap), you are going to want to use a preservative to prevent any microbes, bacteria or mold from growing in your products. If you are interested in making your own body wash, I’d actually suggest checking out our Liquid Soap Concentrate Base which can be made into multiple products (bubble bath, shower gel, shampoo, hand soap and more!). Thanks Becky! Any suggestions for what to do with the castile soap bars that I don’t like? They seem to get soft and slimy in the shower. My only thought is to rebatch them or make soap balls out of them. Thanks! Could my problem be that the lotion formulation was more water based? The recipe was a new recipe I was trying out and it was 60% water. And I read above that Optiphen is more for oil based formulations. I will watch my recipe next time. Yesterday I made a lotion with Optiphen as my preservative for the first time. Everything was all good until I added my Otiphen. I used about 1% and the temperature was good. After adding the preservative, the lotion smelled disgusting. I had used sweet orange essential oil to scent it but when I applied it to my skin, it still smelled really bad. Have any suggestions to avoid this problem in the future? As a natural preservative.. I would trust some. From what I have experienced and learned. I saw that you wrote about how natural antioxidants do not have any antimicrobial attributes. Well.. I have read a ton on coconut oil and I really believe that has a possibility of being a natural preservative. First and foremost.. this oil has antimicrobial properties. Even the bacteria that has become anti-biotic resistant can be killed by the Medium chain fatty acids that coconut oil has. There’s a lot more to coconut oil and its best if its organic and raw to reap all these benefits. I agree that we need to be careful what we are selling to others. I have been researching this preservative stuff for a while now. But I want to give coconut oil a chance before even trying to add some unnatural ingredient like Germall. Because we shouldn’t need to do that, its still not good for our bodies. I’m sure there is a way to do this without adding icky ingredients to our soaps. I hope everyone looks more into using a natural preservative before giving up and saying we need to use these “man-made, bad-for-us” preservatives. Thank you so much for your feedback. Anne-Marie has actually done a lot of research on preservatives, because she wants to provide the best possible products for her customers. Currently, she has not found a good quality (and affordable!) all-natural preservative that stands up to our testing, but she is always looking out for new products. We think it is awesome that you are doing your own research on preservatives and can’t wait to hear more about the outcome of your testing. Our suggestion to put your research into action is to get your products tested by an accredited lab for anti-microbial properties. You will want to do this to make sure your products are safe to sell or give away! If you are interested in getting it tested, we can actually give you some recommendations for accredited labs. I love your website and products are so reasonable. I have one question, If you our making a homemade shampoo and conditioner and wanted to add a color what would be the best dye and color choice you would recommend. We are so excited that you are making your own bath & body products and can’t wait to hear more about them. If you are making liquid homemade and shampoo, and want to color it, we would suggest adding just a touch of the LabColors to get a mild hue in your product. I’m so glad this conversation is still going on. I ordered Optiphen Plus a while back from you all and actually just used it for the first time in a salt scrub. I usually don’t use one but I decided to be safe with it being around the water and people putting wet hands into the jar. Now, I’m reading that the Optiphen Plus is for water based products. Through my research I even found a site that said it was “not suitable for anhydrous” products. My question is… I used it in a salt scrub that contains no water. Is the scrub not safe to use now? Is it wasted? It’s pink sea salt, oils, vit e and peppermint essential oil. The total product weight was 88oz and I used 1oz of Optiphen Plus. I was originally thinking that this would be ok, maybe just not going to perform as expected. But now I’m worried that the oil on the top of the scrub is a concentrated mix of the oil and the Optiphen which possibly separated out since its not oil soluble, making it too high of a percentage since it’s all at the top? (although I’m really not sure if it’s all at the top or not – I always have a small amount of oil separated at the top). Then, I got to thinking that this might be ideal because the whole point was to preserve when water was mixed in.. So..? I made 10 jars and would hate to lose them all because I failed to notice that I was using a water soluble preservative… But I would hate more to sell something unsafe. Can you please guide me with this? Thank you so much in advance!!! According to the manufacturer, the Optiphen Plus is rated for use only in aqueous (water-based)and emulsion-type products. Because of that, I believe it’s entirely possible that the Optiphen Plus might have separated on top of your scrub. To be safe, I wouldn’t suggest selling your scrubs. There is no way I can think of to tell for sure if the preservative has separated, and therefore has the chance of not being effective and also being in contact with the skin above the recommended usage rate of 1.5%. I would just keep track of oz that I add and add in the additional Optiphen Plus? Or am I way off on this idea?? Still trying to learn the ins and outs of the emulsions and mixings of things, the preservatives and everything in between! While you can technically add rosewater and an emulsifier like polysorbate to this recipe for the preservative to work, it can be a bit tricky — but you are on the right track! I would also consider getting the following video, so you know how emulsified scrubs work and get some great tips from Anne-Marie. Keep us updated on the final outcome of your scrub, we’d love to know how this turns out. Thank you Becky! I will watch the video on the scrub and I don’t have the e-wax but just ordered some.. Along with regular Optiphen! I will certainly let you know what I come up with. Thanks again!! Hi Everyone! I know I’m really late to this conversation but I’m very new to soap making (haven’t actually taken the plunge yet but gearing up to do so!). Anyway, I am planning on making a coffee MP soap and I don’t want to use a colorant. I was going to use either just used coffee grounds or brew a tiny bit of triple strength espresso and add that to the base along with a bit of used coffee grounds. I know that you can’t use much but I really want a deep rich brown. If I add brewed coffee to my base, do I have to use a preservative because of the extra water content? Thanks for any help! I’m really excited to get started! Welcome to the soapmaking world, we are really excited for you start soaping. The pH of the M&P soap is high enough that, you wouldn’t actually have to add a preservative if you added something into your batch, but we don’t suggest adding any extra water or oils to your M&P bases as that can actually change the consistency and lather of the final product. You can totally add the coffee grounds for that extra scrubberific properties and if you wanted to get a dark brown, you could either use a fragrance oil that discolors brown (like Turkish Mocha or Dark Rich Chocolate) or even use something like Cocoa Powder. whenever i make lip balms, after about a month or so this thick skin starts to form. why is this and how can i prevent it? Because your Vanilla Extract is water soluble and there is no water in your recipe, that might be the reason that you are getting the skin on your lip balm. You can actually use Bramble Berry’s Vanilla Flavor Oil in your lip balm for a yummy flavor without any separation. thank you so much becky. this really helped. if i replace the water content in my lotion with an already preserved aloe vera juice, and there are no other water type ingredients…only butters and oils…do i need to add an additional preservative? i’ve been interested in trying to do bath and body product with all natural ingredients, and i have come across a youtube channel for lush products. they use fresh fruits and vegetables in their products along with some infusions, extracts, clays, and oils, but they claim there are no preservatives in their products. Do you believe that you wouldnt need a preservative in the products if you are using fruits and vegetables? If you do need a preservative, which one would you use? If you are using fresh fruits and vegetables in your bath & body products without a preservative, they aren’t going to last as long and will eventually start to grow mold and bacteria. We always want to prevent your products from growing anything nasty and that is why we suggest using preservative in products with distilled water and pureed food mixes. The only exception for this would be cold process soap as the pH is too high for mold, bacteria or microbes to grow in. That being said, cold process soaps with fresh fruit and veggies have a shorter shelf life due to the food aspect. The preservative you use depends on the product you are making, but for most of our lotions and scrubs we have either used Optiphen or Phenonip. Is there a specific product that you are looking to make? I am started a natural hair and body product line. I initially wanted to use a natural preservative like so many others. I was looking into Leucidal, but I saw on previous posts here that Leucidal did not perform well. I am looking at Optiphen and Optiphen Plus instead. If I were to use Optiphen, I could no longer call my product all natural. Any suggestions on how to word or market all natural product containing the preservative Optiphen for customers wanting natural products? Thank you, I have found this page very informative! Thanks for stopping by! We’ve found that preservatives like Optiphen, Optiphen Plus, Germaben and Phenonip work the best for us and have use them in several of our recipes. The best way to explain to people why you are using preservatives is to tell them that without them, you cannot guarantee that mold and bacteria will not grow. Using a preservative guarantees that your product will be free of anything that might want to grow in it. I’d also explain the reason that the other ingredients that are commonly mistaken as preservatives are not so that your customers understand that you are making sure that your products and customers stay safe. Hi! I’ll be making some different products soon and want to make sure I get the right preservative. I would prefer only getting one if possible. If I substitute Witch Hazel for the distilled water would it still need the preservative? Could I use Witch Hazel along with glycerin or would they not blend together well? We are so excited that you are making such fun bath & body products and can’t wait to hear more about them. Anytime you are using a bath and body product (other than soap) with water in it, you will want to make sure you use a preservative so that you can keep mold and bacteria from growing. Body butters are my favorite type of product to make because you don’t actually need a preservative as long as you didn’t include any water. If your body butter will be used in/near water or wet hands will be dipping in and out of it, I would suggest using a preservative just to be safe. Hi – would Optiphen Plus work the same as the Phenonip? I ordered that today hoping it would work with my products since it says it’s water soluble. I also ordered Polysorbate 80 to help emulsify my oils and water too – would it work with witch hazel and glycerin? I’m sorry for all the questions, this is the first time I’m making products to sell and I want to make sure I add the right ingredients to the right products – and it’s still so complicated! Thank you for all your help! You guys are the best! We are totally here to help you out, so feel free to ask questions whenever you have them. You can also join the Teach Soap Forums for more support and like Bramble Berry’s Facebook page for up-to-the-date news and blog posts. If the ratio of water in your products is the majority, then you will want to go with a water-soluble preservative like Optiphen Plus. But, if it is mostly oils, I would defintley stay with Phenonip or our oil-soluble Optiphen. If your recipe calls for witch hazel and glycerin, I would suggest using e-wax as an emulsifier as it will fully mix the oils and water together in your recipe. You can use Polysorbate 80 as an additional emulsifier, but since it isn’t soluble in oils, it would need to have a co-co-emulsifier like e-wax. great post ! i have been reading different recipes for soaps and creams and such and noticed some use milk in the place of water. do projects that contain milk need preservatives? it seems they would, but i am not certain. We are so glad that you stopped by! If you are using any type of milk in place of distilled water in a cold process recipe, you wouldn’t actually need to use a preservative, because the pH of the soap would be enough to prevent mold or bacteria from growing. With lotions and cremes, it is a different story. So far, we haven’t found a perfect recipe for including milk in our lotions and found that it doesn’t stay good (not rancid) as long as we had liked. If you were to include any type of milk in your lotions and cremes, we would definitely suggest using a preservative like you would with any other lotion recipe. I hope this helps! 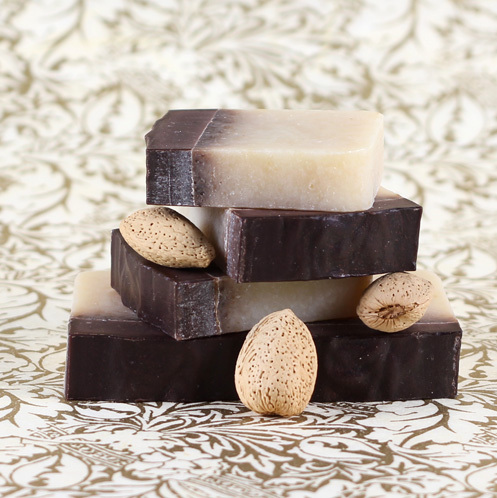 If you are interested in learning more about milk soaps, here is a great e-book written by Anne-Marie where she teaches you all about using milk in your cold process soaps. I’m sorry, 0.75% of 8 oz. = 0.06. I can’t wait to hear more about your body scrubs. You’ll have to keep us updated. If you get any pictures of your products, we’d love to see how they turn out. You can share them with us on Bramble Berry’s Facebook page. Thank you so very much for the feedback!! Yay! That clarifies it for me 🙂 I am going to check out your scale and as soon as I have photos to show, I will post them on your facebook wall. So glad to have found you!! I just ordered Optiphen Plus for my body scrubs. Keeping it at the low range, I would add 0.75% of the weight of my scrub. So, say scrub weighs 8 oz. 0.75% is 0.006. But 0.006 what? 0.006 oz. or 0.006 fl.oz.? The scrub is measured in oz., the preservative in fl.oz. How does one convert? I am still not sure how much preservative to add though (sorry to be dense). * whatever 0.006 oz. is converted into either FLUID oz. / ml? I guess my challenge lies in whether I need to convert weight to volume, since those are two different things. Thanks for the feedback you may have. Unless otherwise indicated, we always like to go by weight in soap and lotion making. It makes it so much more precise and easy to work with. If you have a product that weighs 8 ounces and your preservative recommends using .75% of the product weight, it would be 0.06 ounces (or 1.70 grams if that is easier for you to work with) by weight of the preservative. I often use my handy-dandy scale to measure in these small amounts. I stick my small bowl or measuring cup on it, tare it, and then measure the amount needed for my recipe. That’s great! thanks. So even though the preservative is a liquid, you would still measure it in weight, and not in volume? What sort of scale are you using? Oh and to answer your question: I make body scrubs and might eventually venture out in lotions, but right now it’s scrubs and bath bombs (although the preservative is not necessary in the bath bomb). I am curious as to whether or not Optiphen is lip safe. I am looking into making some lip sugar scrubs to give as gifts and have done tons of research on making sugar scrubs, but haven’t seen any information on preserving scrubs made for lips. Would you reccommend Optiphen for a lip scrub preservative? Is Optiphen ok to use in Scrubs and Lotion that do not contain water, I seem to be finding conflicting things. I know Optiphen Plus is for those products with water, but I am having a hard time figuring what I can use in a lip butter, body butter, and sugar scrub, none containing water, so that I can buy just one preservative. If your product doesn’t contain water, but you still want to preserve it, I’d suggest going for Optiphen as your preservative of choice. What impact does CP and HP saponification have on the medicinal qualities of additives like EOs, fresh juices, botanical extracts, herbal infusions and decotions, powdered, cut and sifted herbs, nuts, seeds? This is a great question and we see it all the time. Anne-Marie has done a bit of research and she has found that saponification process, while affecting extracts, essential oils and other natural ingredients, does leave some of the properties still in tact. So, while using an extract in a leave-on lotion, for example, may be more effective, you’ll still see a smattering of the positive effects in a bar of soap. Can you explain the differences between Optiphen, Optiphen Plus, and Optiphen ND, in particular reference to making lotions and creams? It’s a bit confusing as to which one/s to use and for what. What a great question! Preservatives can be a little confusing at times, but we are here to help you understand them. =) The Optiphen Plus is our brand new water-soluble preservative that is best used when your recipe is water-based and best performs in formulations with a pH under 6. The regular Optiphen is an oil-soluble preservative that we recommend using because it doesn’t have any pH restrictions and it works with oil-based recipes, unlike the other two. P.S. What type of lotions and creams are you planning on making? I’m making hand lotions and face creams. So it looks like if it’s a lotion( more water than oil), I should use Optiphen Plus, and if it’s a cream (more oil than water) I should use Optiphen. I want to make melt and pour with some kind of tomato product added in…….possibly powder or paste. Would this require a preservative? I’m scared it would mold without one. We don’t typically add anything (other than color and fragrance) to our melt and pour soaps because anything else can change the consistency and lather of the final product. I wouldn’t suggest using a paste in your M&P soap, but you could try using the powder in a small test batch to see if it works for you. In this case, because it is a powder (and M&P soap) you wouldn’t need to use a preservative as the pH is high enough that it would kill any mold or bacteria that would grow. Hello! I am new to the soaping and DIY world. I have been dying to make some lotion bars and liquid soap/bodywash, but I have gotten hestitant from all the preservative vs. non preservative talk. I, for one, would rather be safe(r) than sorry and use the preservative. However now the only question is: Which one do I need!? My lotion bar recipe consists of: Shea butter, Coconut oil, Beeswax, and some Vitamin E oil. Now I know that you said that you don’t technically need it but once I told my husband that lotion can mold, he’s pretty much insisting on it (germophobe). So which preservative would work best and when should I add it? Also with the liquid soap, the big trend of grating up a bar of soap, melting it with water and ta-da! From what I’ve read it’s a big no-no without a preservative, so which one would I use with that and also when should I add it? Welcome to the soaping world, we are so exited to have you and help you in anyway possible. We are happy to hear you are asking about preservatives, as they are so important to many DIY bath and body projects. If you are making a product that doesn’t have water in it (like your lotion bar), you don’t actually need to use a preservative. We use preservatives in our recipes that are a) going to be in water or b) have water in the actual recipe (other than bar soap and liquid soaps). But, you can add a preservative to your lotion bars if you would like. If you are going to, I’d suggest using our oil-soluble Optiphen for your recipe. If you are making liquid soap, we never suggested grating up a bar of soap and melting it with water. It typically ends up being a big sticky mess and if you were to do that, you would need a preservative. If you want to make liquid soap, you do have a couple of options. You can make it from scratch or a base. I hope this helps! Let me know if you have any other questions and I’d be happy to help you out. P.S. You can also join us on Bramble Berry’s Facebook page for up-to-date news and an amazing soapmaking community. If so, what kind? How long of a shelf life does it have with and without a preservative? Please forgive me for all the questions! I’m totally clueless! Welcome to the soaping world, we are so happy to have you. When using any type of Aloe in lotions, you are going to want to treat it as water and use a preservative. In this recipe, I’d suggest using the Phenonip preservative. Hi there. I’ll be making and selling lotion with goat’s milk in it, and I was wondering if Optiphen or Optiphen Plus would work well as a preservative. If so, how long of a shelf life would the lotion have? Optiphen Plus is good for formulations of pH of 6 or below. Optiphen has no such restrictions. Because of this, I tend to go with Optiphen. Though Lotion tends to be around 6, it’s nice to not have to test every batch! =) I usually add my Optiphen at 120 or below (even though it can go higher for temps). I loved this post to say the least. But my question is if I purchase the beeswax lotion base from Brambleberry.com can I add that to my shea butter to protect it from mold and bacteria. I use the shea butter on my hair and sometimes my hands are wet . I thought this would work if I mix the two because the beeswax lotion has the preservatives in it. What do you think? Thanks! The way preservatives work is that they are used as a % of the total formula. The amount and the type of preservative used varies based on the formula ingredients and formula type. Generally, preservatives are used in formulas at .5 – 1%. Our Beeswax Lotion Base is specifically designed for adding fragrance oil in it and not to add any extra ingredients. If you tried to add in the Shea Butter it probably wouldn’t emulsify properly and you would need to use an extra preservative because you added an ingredient. Hi! I am thinking of adding diluted milk powders to my melt and pour soaps. Is tere a preservative needed for this? If so, which would you recommend? I’d actually recommend just buying our Goat’s Milk Melt and Pour base. It does much better when the product is added during the soapmaking process, not after it. There is nothing in a M&P Soap or preservative that would keep your milk from spoiling over time. If you were to use it in your soap, I’d suggest making a slurry with liquid glycerin before adding the powder to your soap. Just be aware that anything extra you add to your M&P bases can change the consistency of the soap and the decrease the lather. I am making salt & sugar scrubs, bath salts & lotion bars. What would you reccomend me to use? Thanks! If you are making salt & sugar scrub, bath salts and lotion bars, I’d definitely use Phenonip as your preservative. But, lotion bars and bath salts in don’t need actually need preservative as there no water content in them. What a Great site you have! I have been making a lip balm that contains only beeswax, powder honey,butters & oils; no water. I have used them myself & for friends & family. I have never used any preservative & they seem to last between 9-12months before the oils go bad & they have that ‘bad oil’ smell. Over the last couple years i have never noticed any mold, bacteria etc..even jars that are a couple years old…they just don’t smell good anymore. The response I’m getting is so positive I’m thinking of selling them, one of things people like is the “all natural” no preservative thing. I’m concerned though about going commercial without a preservative but then I may e destroying the very character of the product. Any thoughts on this would be greatly appreciated! Thanks for the input! I look forward to working with you in the future. What about adding fruit powder to my lip balm.. will I need a preservative or is vitamin E enough. Thank you 🙂 that helps me out a lot. Do you know of a good natural presertive ? Many people like their products and soaps to be all-natural, but sometimes there just isn’t a way to make everything 100% natural. Currently there isn’t a good quality, affordable, all-natural preservative on the market for home crafters. hi thsnks fo the information i am looking for a preservative that i can use for my hair leave in conditioner which contains both water and oil. I would like it to have a long shelf life as i would like to sell them and set up a business. If you are using a conditioner with both water and oil, I’d suggest using the Optiphen which works great for shampoos and conditioners when you are wanting to use a preservative. Here is a link to a video where Anne-Marie made a homemade conditioner and used Optiphen as the preservative. Is the germaben II preservative formaldehyde-free? The only preservatives that we carry that are formaldehyde-free are the Optiphen and Optiphen Plus, both of which we have found works wonders in lotions, cremes and other products. Aloe Juice needs to be treated just like water in all formulations. However, Aloe Juice often has its own preservatives added to it so that could be a way for an entire formulation to be preserved without additional preservatives added. Again, this is just a general observation and not a comment on a specific company. Finally, there are a variety of ‘natural’ preservatives on the market that DO show some really impressive anti-microbial activity. We’ve tested them all, under normal usage conditions that a GMP-complying home crafter would be using. Unfortunately, without some of the whiz-bang-awesome manufacturing that the ‘big guys’ have (negative air pressure rooms, airless packaging etc…), they simply weren’t shelf-stable reliable options in our testing. it says ‘some lotions’ for optiphen. i am wanting to use this since it is paraben- and formaldehyde-free. would this be suitable for body butters and scrubs? thank you! i just want to be safe! If your body butters and scrubs are oil based, then Optiphen would be great to use in it for a preservative. But, if your body butter recipe has water or is a water-based recipe, I’d suggest using Optiphen Plus. Just make sure you keep your body butters and scrubs within the temperature range for the preservative you are using (we list those on the website). I hope this helps! We can’t wait to hear about your sugar and coffee scrubs, that sounds delightful. “Natural” can be a bit of a confusing term since the FDA doesn’t actually regulate it. But, we do try to use natural ingredients in our products. The standard ingredients in our house melt and pour bases are Coconut Oil, Palm Oil, Safflower Oil, Glycerin (kosher, of vegetable origin), Purified Water, Sodium Hydroxide (saponifing agent), Sorbitol (moisturizer), Sorbitan oleate (emulsifier), and Soy bean protein (conditioner). While the Sorbitan oleate is naturally derived, in staying true to the spirit of the word, we don’t consider this particular ingredient to be all-natural. But, it is only in the soap base at less than 1% and our melt and pour bases are far more natural than most commercial detergent-based soaps you may find out there. If you are making your scrubs to be used individually and there will not be any chance of them staying wet for an extended period of time, you do not need a preservative. We always like to add one just to be safe, but if they are being made for single-use, then you should be just fine! I emailed my question before I saw comments were still open ( oops) ! I would like to add fruit & vegetable purée to M&P. I read above that no preservatives are needed in M&P, is that the case even with the addition of the purée? That’s a super great question. Typically we don’t like to add anything to our M&P bases because it changes the consistency too much for our liking and can cut down on the lather. Anytime you add a water-based product to your M&P soap, you do run the risk of it going rancid and spoiling. If you were to try this out, I’d suggest keeping the bars for a couple of weeks to make sure they aren’t growing anything and don’t go rancid for your customers. So if I use an extract I will need to use a perservative in my lip balm? I’ve noticed bramble berry has flavor oils, is that the same but with oil or is it totally different? If you use any of Bramble Berry’s extracts in your lip balm, you wouldn’t need a preservative because they are all oil-based now. If you were using a water-based extract, you could use a preservative if you wanted to be extra-safe. P.S. When adding a flavor oil into your lip balms, you don’t need to add a preservative. I’m trying to make little jars of salt scrubs for Christmas gifts en masse, and I am hoping there’s an easier way to mix in my Phenonip and essential oil than to do it 15 times (the number of jars I have). Can I just put the preservative and essential oil into the big bottle of oil before I pour it into the salt? How do I figure out how much to use in the oil? I have 48 oz of fractionated coconut oil and the jars hold 5 oz. From what I understand, I almost fill the jar up with salt and pour the oil over it. I’m sorry I have such a basic question, but I flunked chemistry in college, and this seemed like such an easy project on Pinterest! Hi Becky! I’m making shampoo for dogs to sell. I read that if they are not going to be near water, they do not need to have a preservative. But I’m using Dr. Bronners liquid Castile base for now, and adding different oils and essential oils, etc. Because some water will get into it, what preservative should I use? If you are going to be making a product that will have water in it (or near it) we suggest a water soluble preservative like Optiphen Plus. It works really well and we’ve found it to blend pretty seamlessly into any of our water-based products. Hi, i’d just like to add that Optiphen Plus is probably not suited for dog shampoo as the PH levels in dog shampoo are neutral-alkaline (around 6-7). Optiphen Plus performs best with PH levels below 6. Is there any rhyme or reason in choosing the exact percentage of preservative within the given recommended range (ex: 0.5% vs. 1% in a recommended range of 0.5-1.5%)? For example, when would 1.5% Optiphen be needed over the minimum recommended 0.5%? This is a little confusing to me! TIA for any help! We always suggest using a preservative in your lotions to prevent any microbes or bacteria from growing. If you are using a recipe that doesn’t have any water in it, you don’t have to use a preservative, but it is always good to prevent anything icky from growing in your product. Could you tell me a little more about your recipe and I can help you figure out what preservative would be the best for you to use? OK, I am so confused!!! I would like to make sugar scrubs for Christmas gifts. In the original post, it says to definitely use a preservative in them, since sometimes water is introduced into the scrub in the shower, etc. But, which one?? Optiphen, Optiphen Plus, Germaban, Germall…I have heard about so many. Please help me figure out which is best for sugar scrubs and how much of the recommended preservative I should use. That is a great question! Typically, we like to suggest using Phenonip for all your oil-based recipes as it works incredible well and well help keep your sugar scrubs from growing any nasties or bacteria! Thanks so much! I will order some today! I will be putting 7 oz of sugar scrub in each jar. Can you tell me how much Phenonip to put in each? And, how long will the scrubs last, with the Phenonip? Sorry for the many questions…I am new at this! I am so please I found your site, I was about to head into the kitchen to make my first batch of sugar scrub. I would have been very disappointing to find yuck growing on it in a matter of weeks. If using the Germaben in a scrub that uses 1 1/4 cups of sugar and 6-8 tablespoons of coconut oil how do we work out the quantity of preservative that’s needed? I was also planing on making a body cream with shea butter, coconut oil and sweet almond oil, would I also use the Germaben in this as well? thanks so much for such great information. Generally, products that don’t contain water and won’t be exposed to water (ie: used in the shower) don’t need preservatives. Preservatives prevent mold and bacteria growth in products containing water, but don’t prolong shelf lives by preventing rancidity in oils. The shelf life of your product is as long as the shortest shelf life of your ingredients. Just wondering if you know, or have worked with the Leucidal Liquid preservative? What are your thoughts? We’ve tested it here and have not found it to be an adequate preservative under normal manufacturing conditions for home crafters. Our product molded rather alarmingly quickly. If you’re going to use the product, definitely request that extra information – and be sure to get your formulation fully challenge tested if you’re using the preservative. Thanks for that. Greatly appreciate it. I did purchase some, but have yet to use it. I think I may switch over to the Optiphen Plus. I have been making sugar scrubs for awhile now and NEVER use preservatives because all of my recipes use oils only. I plan to start giving these away as gifts but after reading about everything that can happen if water is introduced to the scrub, I definitely want to add a preservative to be on the safe side. I know my friends will be tempted to dip their “wet” hands in the container to scoop out the scrub. My question, can I use the Optiphen in my oil only recipes and if so how do I figure out how much to use??? I sure hope I can use the Optiphen cause I just received my Brambleberry order that includes it. Thanks so much for the reply! I didn’t realize that bar soap mixed with water may not carry a higher pH! Good to know! I’m assuming the potassium vs. sodium alkali used is a big determinate in the liquid vs bar soap and also the pH. I did actually order the castile/castor oil liquid soap paste from y’all and am anxiously awaiting shipment! Thank you to you and your company for offering a coconut oil free product for someone like me! Also, thanks for the help. Do you think I can rely on the pH strip testers when I complete this bar soap batch? It may not even come out right! I also ordered Microguard (I believe) and it’s a stronger preservative, however, I’ll have to make sure it will hold up in the pH, since it’s glucotamate and sodium benzoate. The only remaining question is, could I possibly mix part of this soap bar base with the liquid suddsing base or am I risking ruining the whole batch?! I wondered if I did that if I’d have a stronger concentrate and could then go from there. I’m hoping to have a thick concentrate so that I could store said concentrate using it when needed to make laundry, dish detergent, and also hand and body soaps. I know it’s possible to use Bronner’s Castile soap for all these things, do you see a problem with making a base from the sudsing paste you sell to do the same? I’d buy other bases like Bronner’s and save myself the headache, but I’m so incredibly allegic. Thanks again for everything, I understand if you don’t have the time to reply. You and your company seriously rock and I can’t wait to tell everyone about you when I blog about this soap paste! Have a great day! You can mix two different types of bases together – no problems at all! I made a mixture of melt and pour shea butter soap and added fresh herbs. with in a week the soap looked moldy. should i have used a preservative? Also, can i add other oils like, olive and coconut oil to my melt and pour soap? When you look at your soap, is it actually mold, or does is it just the herbs going brown? When you add any herbs or botanicals to melt and pour soaps, they will eventually turn brown because they are plant material. Adding any extra oils or butters to your melt and pour soap may change the consistency. But, if you really wanted to, I wouldn’t go anymore than 1 tablespoon per ounce combined of the butters or oils that you want to add. Hi there. I know I’m a little late, but I keep coming back to this post. I have a severe coconut allergy and will be formulating my own lotions, creams, soaps, etc so that I can enjoy the benefits without the reaction! Since almost ALL soap contains coconut oil, I’m stuck with olive oil soaps that are 100% pure castile. I also just found you all offer a castile/castor oil soap paste blend w/o coconut oil and have ordered it and raved to all coconut allergen people about how excited I am! My questions is this: I plan to melt down the castile bar soap into liquid soap concentrate – almost like Dr. Bronner’s soap concentrate and then make products from said concentrate as needed – hand soap, bath wash, etc. I will be sanitizing and using distilled water. Even after melting down, it appears the soap will still have a pH greater than 9, so I won’t need to use preservative. When I add more water later for the hand soap, if I add Vitamin E, Rosemary, glycerin, and other oils, if my pH stays high will I still not require preservative? Could I make the soap now, then add the oils (haven’t received that shipment yet) to the finished product and shake? Also, is it possible to add a little shea butter as well (a tsp or so) without using an emulsifier, or will it separate? Lastly (I understand if you can’t answer all of these 😉 ), have you ever heard of the Leucidal natural preservatives that use fermentation technology to prohibit mold, bacteria, and fungi growth? I’ve ordered the Leucidal SF and Leucidal Bamboo but have yet to try them. I’d love to have an all natural preservative option and this seems legit! Thanks, I think your Talk It Out and Company are really great…you’ve inspired me to take this project on and I look forward to making products for myself and others – you rock! The preservative assertion is from Catherine Failor’s book on making liquid soap with potassium hydroxide and she was referring to it with regards to making liquid soap from scratch, not necessarily with what you’re trying (which is bar soap which uses sodium hydroxide). I can’t verify that the pH will be above 9 so I’d be cautious about storing it for very long outside of the fridge. Now, onto the other questions, if you make the soap and it is water based, oil based products like the Vitamin E might not (probably won’t) mix in without an emulsifier. I have heard of Leucidal and have tested it personally here for potentially bringing in to Bramble Berry. It molded on us in multiple tests, some as early as a week, some later, using typical methods commonly employed with home crafters. That doesn’t mean you won’t have success with it but I would STRONGLY recommend if you are going to sell product with it that you do the $600 challenge testing for the recipe/formula that you have settled on. We use Sagescript (http://www.sagescript.com/) for our challenge testing and have found them reliable and easy to work with. Hi, I’m new to this lotion-soap-scrub making and am excited to try out a few recipes. It’s kinda hard for me to get hold of the chemical ingredients here from where I come from. How long do you think a lotion/scrub can hold up without preservatives? We are so excited that you are getting started in soaping, lotion-making and more! Any scrub or lotion that has water in it does need a preservative because it can grow bacteria and mold very quickly in it(could be as little as a few days). *Phenonip is used at a rate of .5 -1.0% of the total weight of your products. *Optiphen is used at a rate of .5 – 1.5% of your product. *Germaben is meant to be used as .3 to 1.0% of the total weight of your lotion. If you are unable to find preservatives in your area, Bramble Berry does ship internationally and our customer service gals would be more than happy to help you place an order. Do you need to use preservatives in the hot process soap? what about goats milk soap? Grated and made into a liquid soap? We’ve found that grating soap to make liquid soap hasn’t worked the best for us (it gets a bit gummy) and because you making it differently than normal liquid soap, I would suggest adding a preservative to be safe. If you are interested in creating your own liquid soap, here is a great e-book by Anne-Marie that goes over how to make your own. Or, you could even go with either one of our liquid soap bases. All you need to do is color and scent and you are done. what do you think can I use fresh fruit purees in body and face lotions? What is the best preservatives for it and how much quantity is needed? If I make such face cream with preservative what is the shelf life of products? I had a odd preservative thing come up when I made a custom product for a customer, N was purchasing 2 baby gift packs for a Mom who was Organic and Natural in everything she is. I created 2 soaps from glycerin SLS free and used minute amounts of Lavender and Chamomile EO. FINE. I made up 2 hemp lotions using the same process , but then I HAD to use some type of preservative …I chose Gemaben plus which is paraben free …guess ?? go ahead…. The Mom refused to use it because it had a preservative in it. !!! This is the moms choice I know , but what is a lotion maker to do ??? not use anything and put the child and the company at risk ? Is there something else I could have used ??? Thanks again for being my go to place for all things soap/lotion related ! It can be hard when your customers refuse your product due to lack of knowledge. But, the best you can do is inform them that at the current time there isn’t any all-natural preservative available for the small-batch, handcrafted nature of our products. And, you can even explain that any product that has water in it does need preservative (except for soap), which includes: lotions, creams, and some sugar & salt scrubs. After that, it is really up to the customer whether or not they want to purchase products without preservatives. Just happened across this in a google search. You could always offer a body butter or solid lotion which doesn’t require a preservative. I make preservative free lotions for myself (not for sale and use them within a week) which I love but now that I’m thinking of selling my lotions, it will need a preservative. what if you add fruit powder to the body butter or sugar scrub? I know I’m a little late to the party, but, i can’t find an answer to the correct preservative for using milk/powdered milk in scrubs, lotions etc. As I’m not fighting specifically water (but will be, as it’s stored in the shower/bath) it’s fighting the nasties that the milk can bring. What do you suggest I use, and the self life of this product? You can do a powdered preservative like Germal II – Lotioncrafter sells it – http://www.lotioncrafter.com/germall_plus_powder.html If you use it, you’ll get at least a 1 year self life, if not 3, out of this product. I am curious to understand more about what you say “Preservatives aren’t generally necessary in liquid soaps, but can be added if desired.”. I thought all liquid soaps that have water in them require preservatives. I just made 2 liters of liquid soap at home for personal usage now for the first time, so I would be really happy not to have to use preservatives, so it would be great if you could tell me just a bit more about why I would not need preservatives for liquid soap. I hope this helps answer your question! Always, of course, use distilled water AND disinfected equipment. Thank you very much, Anne-Marie, for the detailed and very fast response. I believe my liquid soap should be fine than wthout preservatives. Again, many thanks. I have a question not necessarily related to preservatives, but about the pH of soap. I am a novice soap maker and just made some castile soap using olive oil, coconut oil, and sodium hydroxide. I then turned my solid soap liquid by letting it sit in distilled water for a week. I thought that the soap was supposed to be a neutral pH after it sat for a few days, but my liquid castile soap has a pH of about 9 or so. From what you said above, that is normal? I wanted to use the liquid soap to make dish washing liquid and laundry detergent, but I thought since it is still alkaline that would not be safe, and definitely wouldn’t be safe on the skin. Any thoughts on this? I see where a lot of commenters are saying you HAVE to use preservatives in your lotions etc. Most lotions etc. that have preservatives are intended for a long shelf life, and for the creator to be able to have it made before it is sold. I have chosen to NOT use preservatives in my lotions, and ALWAYS put a best by date 4-5 months out from the date of order as it is made fresh to order. Each environment is different, so the place it is stored, if condensation forms under the lid, if it is in a dark damp place or a warm bathroom etc. the potential for mold is there! Not washing your hands before dipping into the jar introduces other bacteria etc. So pressing others with the fear of…. “It happened to this one lady….” is not the be all end all that preservatives HAVE to be used in order for it to be fit to use/sell. We may have to agree to disagree on this one. I do not believe that a 4-5 month shelf life is a safe factor for a non-preserved, made-with-water lotion. Maybe if it was stored in the fridge? But even then, I’d probably err on the side of 3 months, even stored in the fridge. You are right though that every customer use is different – which is why I strongly advocate for preserving for a wide variety of customer environments – not just a best case scenario. I just got to a website from a friend. They are making homemade liquid soap by grating a bar of soap in water, letting it sit overnight and blending. No mention of preservative. Isn’t this at risk for mold and bacteria? It’s on a Mom’s Natural website and I would hate to see entire families get sick from this. I want to mention this tactfully, but they need to know. I’m curious about this too. I’ve seen a lot of ppl online doing this. I made some myself with distilled water (for safety) and a homemade castille soap. It’s been about a month and i”ve noticed there’s small “beads” in it. at first I thought it was just maybe the soap solidifying, but now I wonder if it’s spoiled. Any suggestions? I just can’t find everything where I live, I have Sodium benzoate and Methylparaben. can I use these in scrubs? Do bath fizzy, bath salts, body butters and lip balm need any? The main problem in using sodium benzoate in our products is the pH level – sodium benzoate works best at pH 5 or less (possibly 6 or less), which means its use is limited to products more acidic products like toners or moisturizers with AHA or salicylic acid. You definitely want to own a pH meter if you’re using this as your main preservative! Sodium benzoate is approved for us at up to 0.1% for food products and up to 1.0% for cosmetic and medicinal products. Methylparaben is commonly used as a food preservative and is an excellent anti-fungal, anti-bacterial. I think in your case, the Sodium Benzoate would be pretty useless because of the pH issue but the Methylparaben would be a good choice for you if that’s all you have access too. Using a combination of parabens and preservative options is stronger than just a single paraben (which is why Germaben II was created) but in a scrub that has very little water in it or introduced to it, use the Methylparaben at .5% by weight. No preservatives needed in bath fizzies, bath salts or lip balms. If the body butters have water in them, then yes, you need to preserve. If they are balms (oils + waxes), no preservative needed. Anne Marie – have you looked at the ECOCERT preservatives that are on the market such as Gluconolactone & Sodium Benzoate (GSB), Aspen Bark Extract, Glyceryl Monocaprylate (and) Glyceryl Monoundecylenate. I see these ingredients listed in Lotions and Body Balms I see at the natural grocery store. If these preservative can work for them – can’t it work for the small-batch producers like us? Like most people, I am on the fence about this issue. I personally do not mind using a product that is not 100% natural – gosh, my hair dye is filled with chemicals. But I would like to give my customers an option. Currently, I don’t make any products that use water (except bath bombs) – but I might want to expand the product line. My short answer is that they can and will work when used in very strict usage rates, pH levels, clean kitchen environment, negative air pressure clean rooms, no-air containers etc… For the home crafter, that level of precision and detail is sometimes not available. Here is what a much smarter blogger than I says about Geoguard (failed at 9 months with testing) http://swiftcraftymonkey.blogspot.com/2010/10/preservatives-geogard-ultra.html I didn’t like it because of the fussiness of the product. Aspen Bark – Have not used nor tested. The blog above has several links to data sheets etc… on it. Glyceryl Monocaprylate (and) Glyceryl Monoundecylenate is a fine anti fungal but in my opinion, not an effective product to prevent against mold and bacterial contamination. I agree – educating your customers can be difficult. Just keep in mind that preservatives are used at 1% or less, parabens naturally occur in nature (you actually eat them in several fruit and vegetables) and it is better to use a safe and effective preservative than it is to accidentally allow potentially serious bugs to inhabit your lotion. Great Topic! As much as we don’t want to use preservatives, they are absolutely necessary in some formulations. I was just wondering, is ROE the same as Rosemary Essential Oil? The use of preservatives is so important in order for products to not grow anything yucky in it. I know I certainly don’t want mold and bacteria in my lotions. Can you use the optiphen in lotion and cremes that contain water and oil??? Definitely. You can use either Optiphen (which is oil soluble) or Optiphen Plus (which is water soluble) in your lotion and cream recipes. They are both formaldehyde and paraben free! I’m glad this was answered. I’ve always just used Optiphen in my creams that had both oil and water. I’ve never found any of my products to spoil or go bad. And although I keep to a 6-8 months expire safety rule I have found my recipes keep MUCH longer than that. But lately to be even more cautious I have been using a bit of your Germaben as well. Is it okay to use a bit of both in the same recipe??? Lastly is there one you prefer more than the other; Optiphen or Optiphen Plus? There isn’t a reason that you would add two different preservatives to your products as one is enough. Just make sure you are within the correct temperature range for the preservative you are using. If you do want to use both, ensure that the total usage rate is less than 1% with both of them added in. We don’t really prefer one (Optiphen vs. Optiphen Plus) over the other and find that both works fabulously as the other one. It’s really more of a personal preference for people. Can you further explain this post because it did not make sense to me? You double the percent when you double the ingredient, that doesn’t make sense? Unless i read this wrong, isn’t that like saying if you buy something for $5 and pay 7% tax, then if you buy two of them you pay 14% tax? I am confused? Maybe im reading the op wrong (by Sisi)? I’m sorry for the confusion, Jennifer! I was referring to the blog post that Anne-Marie wrote about converting percentages to weight amounts to better understand a recipe! 1. Convert your total recipe weight to ounces. This makes it easier to figure out the weight of individual components. So, say you want to make a 5 lb soap recipe. 1 lb = 16 oz, so 5 lb = 5 * 16 = 80 oz. 2. Convert your percentages (%) to real numbers. “Percent” means “per 100”, so to convert a percentage to a real number, you divide the percent by 100. An easier way to think about it is just to move the decimal point to the left two places. 100% is actually 100.0%, so move the decimal point to the left two places, and you get 1.00, or 1. 10% is 0.1, 1% is 0.01, and 0.1% is 0.001. So if your 5 lb soap recipe calls for 5% avocado oil, that would be 0.05 for your avocado oil. Similarly, if it calls for 20% olive oil, that would be 0.2 for your olive oil. 3. Multiply your total recipe weight by the real number for each of your ingredients. Using the values we calculated above, for a 5 lb soap recipe that calls for 5% avocado oil, you multiply the total weight of the recipe in ounces by the real number for avocado oil, 80 oz * 0.05 = 4 oz avocado oil. Similarly, for the olive oil, you multiply the total weight of the recipe in ounces by the real number for olive oil, 80 oz * 0.2 = 16 oz olive oil. It’s easier to do calculations (and weights) in grams, because the metric system is, well, metric, and you don’t need to worry about that funky 16 oz in a pound thing. 1 kg = 1,000 g (move the decimal place to the right three places), so a 0.5 kg recipe would be 500 g. The rest of the math is the same. If you want to convert between grams and ounces, 1 oz = 28.35 g, or, to put it another way, 1 g = 0.035 oz. I have heard of all of those listed but have never used any of them, I use Germall and it seems to work in all lotions, butters, and creams I make, and have never had a problem with it – don’t know why it was not mentioned here. Any thoughts? Thanks for your patience! Sometimes it can take us a day or two to get to blog questions since we have so many, but we always answer them! We didn’t list Germall in this post because it is not one that Bramble Berry carries and we aren’t very well acquainted with it. Great post with lots of great info! Thanks for breaking it down for us! This is a great topic! We were just discussing this in my soap group the other day. Someone was speaking to a woman who was in the hospital for a life threatening infection that the doctors couldn’t pinpoint. By chance the woman mentioned that her lotion that she had made herself had recently changed color and the nurse (who thankfully was on her A game) asked if they could test the lotion. Sure enough, the woman had not used a preservitive in her lotion and it contained the bacterial source of the infection! How scary is that? It really solidifies the point that we must all be safe rather than sorry and use preserivtives in out products! That sounds super scary! I’m glad they figured out what was going on. It is so important to make sure you have preservatives in your products. If there is an open wound, anything nasty can get in! Great post, I’ve always used Optiphen Plus for lotions or water based body butters. It works great with butters but in the past (just started using a new lotion recipe) I’ve had a problem when using it to make lotions in that after the lotion was made it would become watery and some of the water would separate. I read somewhere on a forum but have no idea where that you use Optiphen Plus for lotions you have to use more then a certain percentage (from memory I think it was 8%) of either Ewax or Stearic (can’t remember which one but think it was Ewax). Have you made a lotion with this before? Notice you listed a lotion recipe with Germaben. My problem seemed to happen when I used your lotion recipe (you posted awhile back) and used Optiphen Plus as the perservative.